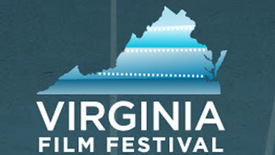 It’s time for our annual Sunday Morning Wake-up Call look at the Virginia Film Festival. Host Sean McCord talks with Wesley Harris, Festival Programmer and Operations Manager about the festival. The 2017 Virginia Film Festival runs November 9th through the 12th. Sunday Morning Wake-up Call host Sean McCord talks to program curator Wes Harris about the 2016 Virginia Film Festival. On the November 3rd edition of the Wake Up Call, guest host and movie aficionado Sean McCord, talks with the Director of the Virginia Film Festival, Jody Keilbasa and Wes Harris, Programmer and Operations Manager of the festival. Sean and his guests go in depth about specific films being presented at this years festival including, Faux Paws, William and the Windmill, Claws, The 7th Voyage of Sinbad, The Invisible Woman, the 60th anniversary of Disney’s Peter Pan.